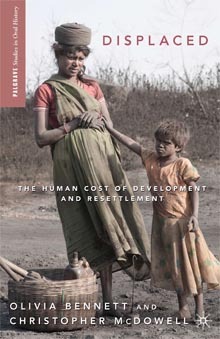 We are delighted to announce that Displaced: The Human Cost of Development and Resettlement – based on oral testimonies recorded as part of a Panos London project – has been awarded the Edgar Graham Book Prize 2013. This academic prize from the School of African and Asian Studies, University of London, is awarded for a work of original scholarship on development in Asia and Africa. Authors Olivia Bennett and Christopher McDowell are particularly pleased that the judges commended its “exemplary use of oral testimony”. The heart of the book draws on over 300 interviews with the displaced, gathered over several years in different countries and development situations as part of an international resettlement project, for which McDowell was the advisor. The judges agreed that Displaced was “highly readable” and represented “a notable achievement, which is original, accessible and vivid without compromising intellectual integrity”. Olivia Bennett founded Panos London’s Oral Testimony Programme, and is a co-director of Oral Testimony Works. The award is a great acknowledgement of the effort, wisdom and expertise that went into the book and of the importance of listening to the perspectives and experiences of those most affected by development. For more information on the book please see Panos’ press release from 2012 and Olivia’s blog on the Panos website from the same time. Copies (including e-books) are available from Palgrave.com and other sites. All royalties to Oral Testimony Works to support further oral testimony projects with marginalised groups around the world. This entry was posted in News on July 15, 2013 by siobhanwarrington. “Resettlement involves the most complex transactions in development” said Susan Wong from the World Bank in the session summing up the International Conference on Resettlement and Benefit Sharing in Hyderabad, India, 20-21 May 2013. Large-scale infrastructure projects such as hydropower stations, roads and mining deliver benefits and often revenue to national economies. Acquiring land for these projects generally involves the resettlement of people. Resettlement involves complicated monetary transactions (compensation packages and benefit sharing) which take place at a time of great uncertainty and often anxiety for those being resettled. In addition to anticipated material losses resulting from resettlement, for many there are the less visible social, cultural and emotional costs involved. For me, Susan Wong’s statement was in no way an over-statement; it was a definitive observation on resettlement. I was invited to the conference to share a selection of first-hand accounts from the resettled, recorded as part of Panos’ Oral Testimony Resettlement Project (1997-2003). A copy of my presentation, Like a rock on my heart, is available on this link. The presentation draws on Bennett and McDowell’s book Displaced: the Human Cost of Development and Resettlement. 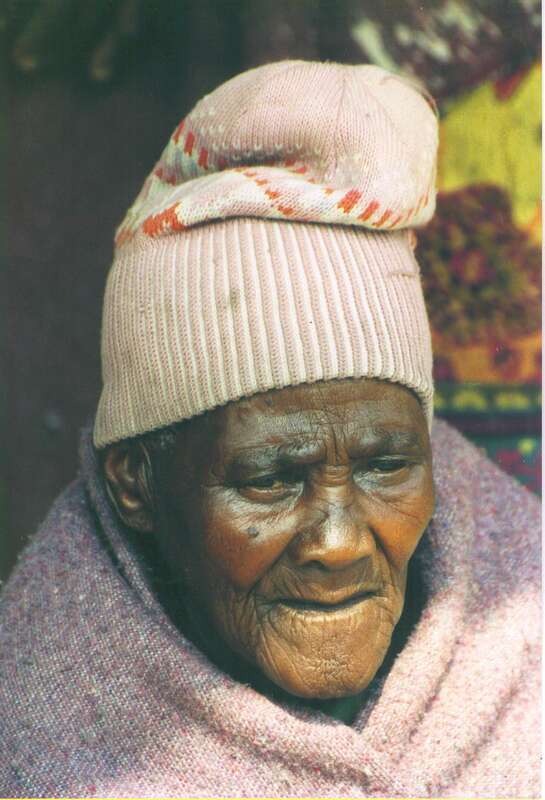 “It will remain as a rock on my heart when I think of the place that I am being removed from…” These are the words of ‘Maseipati Moqhali an elderly woman from Lesotho, interviewed in 1997 prior to her resettlement to make way for the Lesotho Highlands Water Project. Her words convey the emotional anguish of resettlement, of being moved from one’s home. Such anguish is an inevitable, and largely unavoidable, response to being told you have to leave your home, community and environment for ever. And whilst compensation and benefit sharing can be effective ways to redress the material losses incurred as a result of resettlement, dealing with the non-material costs, the social, cultural and emotional impacts, is less straightforward. In our desire for neat solutions, it is the definite figures, either in terms of working out compensation packages or monitoring income levels that attract our attention. 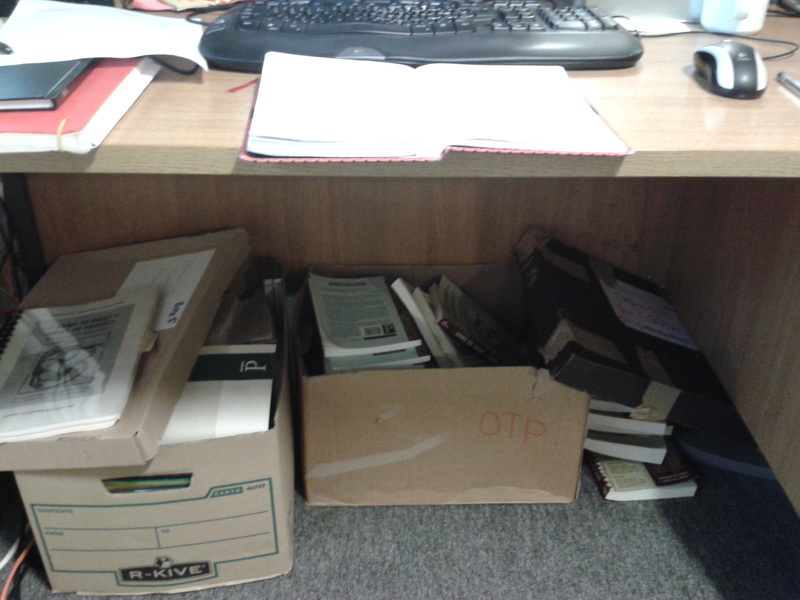 We must ensure we don’t fail to see the human side of resettlement: the tricky, messy ‘people stuff’. Rather we must acknowledge and accept this human aspect and work with people to ensure that the anxiety associated with displacement is minimised by listening to, and where possible addressing, their concerns. Ensuring that resettlement becomes a development opportunity for the resettled as well as the nation will also reduce the difficulties and anxieties experienced by the displaced. Dealing effectively with material loss can go a long way to reducing some of the stress and anxiety associated with the loss and uncertainty of resettlement. A commitment to ensuring that large-scale infrastructure projects involving resettlement are a development opportunity for the resettled as well as the nation was at the heart of this conference. Benefit sharing refers to the principle and mechanisms of ensuring the resettled also benefit from the development projects. Benefit sharing is not compensation. Compensation packages are in response to the losses incurred as a result of resettlement, whereas benefit sharing is above and beyond any compensation. Whilst compensation should at least restore people’s previous livelihoods, benefit sharing should ensure an improvement in their circumstances. The conference was opened by Cyprian Fisiy, Director of the World Bank’s Social Development department. He provided a valuable framework for the conference; one of social inclusion, shared prosperity, and voice. For him, the challenge in the resettlement context is ensuring the most-affected are represented and heard, but in the context of informed, inclusive and open dialogue as opposed to protest and violence. This need for inclusive dialogue was at the heart of the Panos’ oral testimony project with the resettled. Land acquisition was understandably a key theme of discussion during the conference, and Cyprian’s opening address highlighted the challenge of managing land acquisition successfully – when for the majority of the resettled land equals livelihood and landlessness equals destitution. How can we ensure that land acquisition doesn’t lead to a lower standard of living, for those who have depended upon it for their livelihood, and that instead it is part of a process which ensures shared prosperity? The conference brought together 110 participants from Africa, Asia, Europe and Latin America, including government officials, practitioners, researchers and World Bank staff, representing both public and private sectors. The case studies presented were varied, not just in terms of geography but also type of resettlement and approaches to land acquisition, compensation and benefit sharing. We learnt about urban resettlement in Latin America as well as challenging negotiations in a remote, rural and highly conservative area of Pakistan. There were presentations on transport and resettlement in Nigeria and India, and hydropower in Laos and Uganda. We learnt about Magarpatta – a new city in India – developed as a result of farmers pooling their land and becoming equity holders of a new urban development. There was a very positive discourse to the conference, one in which those presenting case studies of resettlement were proud to share the various ways the resettled were benefiting above and beyond their compensation. There were also examples of new approaches to calculating compensation packages as well as compensation policies being implemented flexibly for the benefit of the resettled. The principle of benefit sharing recognises that project benefits should go beyond restoring livelihoods to improving incomes and living standards for the resettled. The case studies presented at the conference shared a range of mechanisms for benefit sharing. Liz Wall of Shared Resources shared research on benefit sharing in the extractive sector. Unlike hydropower projects where there can be the obvious benefit of a free or cheap supply of electricity to Project Affected Persons, there are no such obvious “trickle down” benefits in the mining sector. There needs to be legitimate and transparent mechanisms of ensuring national revenues from mining benefit the affected communities. Foundations or Trusts are one such mechanism and their vision/aims need to arise from the needs and priorities identified during the social assessment of the mining project. Similarly, their activities need to contribute to the local or regional area development plans. Similar mechanisms will be needed to ensure that revenue arising from a hydropower project, from selling electricity to another country for example, are specifically shared with the resettled communities, as well as going into a national poverty reduction fund. Other examples of benefit sharing included systems that enable Project Affected Peoples to effectively become shareholders in a project, receiving a percentage of the profits on an annual basis. The case study from Pakistan, by Dr Siddiqui from the Water and Power Development Authority (WAPDA), made the point that a commitment to benefit sharing needs to be demonstrated long before any “bricks are laid” of the development projects. In that particular instance, gaining community endorsement was the result of listening to the community’s concerns, and physically demonstrating development actions long before resettlement to show genuine commitment to the community’s welfare. Several presenters and participants made the point that the effectiveness of resettlement and benefit sharing depends on the existing systems, and the capacity of implementing staff. Many of these points – the importance of trust and transparency, and of demonstrating real commitment to the welfare of the displaced, the need to acknowledge the perspective of the resettled and to support those charged with implementing complex compensation policies at field level – were voiced in the Panos narratives. Failure to recognise these points, or to promise but not deliver, had time after time led to a breakdown of trust and confidence, and significantly impeded negotiations and dialogue. Handshake or a fist of protest? It seems there are two factors driving the principle of benefit sharing. There is primarily a moral commitment to ensuring that infrastructure projects for development do not lead to further impoverishment of the people displaced. Instead, resettlement must be part of a development framework of social inclusion and shared prosperity. Secondly, experience shows that public protest can stall or even cancel planned development projects. A commitment to, and importantly demonstration of, benefit sharing by developers can address some of the key concerns that become causes for protest. The presentations by Mr Dhillion and Ms Wall referred to the need for community endorsement or a gaining a “social licence” to operate. Again, this echoes Cyprian’s opening address, and the need to move away from the resettled using their hands as fists to shake in protest at resettlement towards a context in which the resettled want to extend their hand for a handshake with developers. However, whilst protest and dissent might spell bad news for infrastructure projects and resettlement, we need to accept that along with the emotional anguish that comes with leaving one’s home, protest and dissent are an inevitable part of resettlement. And individuals coming together and voicing their concerns, taking control of their futures, is after all a sign of empowered citizens working together to ensure that they negotiate collectively for their rights and entitlements. We need to be careful that the social licence gained for large-scale infrastructure and the resulting resettlement results from open and inclusive dialogue with informed and empowered citizens, as opposed to benefit-sharing becoming a form of bribery. Related to the above point about the importance of people being active agents as opposed to passive recipients of development, there is the challenge of ensuring benefit sharing is managed in such a way that it doesn’t contribute to dependency, but instead fosters agency and sustainability. This is crucial since resettlement itself is a process, as the Panos testimonies powerfully demonstrate, which inevitably and dramatically reduces people’s sense of power and control over their lives. And there lies a further challenge, of how to restore a sense of agency during a process which potentially breeds deep powerlessness? The importance of communication, agency and perceptions were key themes in my presentation and communication and participation emerged as key themes of the conference. There is no escaping from the enormity of the impact of resettlement on people’s lives. The displaced may well be emotional, frightened, confused, angry and upset. The fear and panic associated with impending resettlement will result in heightened and perhaps unrealistic demands and complaints. Just as the compensation calculations can be complicated, human beings with their social, cultural and emotional lives as well as material needs can also be pretty complicated! And compensation needs to be worked out fairly and openly, with no opportunities for people to gain more through individual consultation, bribery or use of their individual power. None of this – anguish, conflict, complaints, speculations, rumour – can be avoided, but it can be reduced or perhaps just effectively managed, with good communication and a commitment to participation. By good communication I mean effective, appropriate, timely, open, and transparent communication. People need to be aware of their legal rights and entitlements and information about the development and resettlement needs to be conveyed in appropriate languages and formats, and regularly at appropriate times, not just as a one-off announcement or conversation. Trust, transparency and accountability are essential aims for that good communication. Appropriate and effective communication needs to be used at every stage of resettlement. It is essential to take account of the changing perceptions and circumstances of the resettled as these will impact on their responses. On-going communication also provides a safety net to ensure misunderstandings don’t take permanent hold. With something as enormous as resettlement, it is going to take several rounds of communication for people to hear it, understand it, and respond to it. Where possible, resettlement plans should be informed by the needs, concerns, values and knowledge of those who are to be resettled. In Mr Oguntunde’s presentation on Lagos’ Urban Transport Plan, he emphasised the importance of “meaningful consultation” and the need for stakeholder consultation to inform design and implementation of both the development project (in this case) as well as the resettlement plans. Community endorsement is key to success and that comes through participation and a recognition that effective participation takes time. Community endorsement and the gaining and maintenance of a “social licence ” will come as a result of listening and responding to stakeholders’ concerns. What qualitative research has been carried out with those who implement resettlement on the ground? Their experiences of communicating, negotiating, consulting, and encouraging participation with the resettled, need to be taken into account if implementation is to be improved. The Panos testimonies and conference case-studies suggest there is much to learn from their actual experiences. How are people’s responses and experiences to resettlement being captured in any qualitative way? Is this not important in relation to the aspiration of measuring social success? PAPs need to be centrally involved in any assessment process. Would there be a value in doing some oral testimony work with the resettled and fieldworkers in some of the case study projects shared with us at the conference? With the shift in policy and practice towards improved compensation and benefit sharing, would the narratives of the resettled be markedly different from those recorded 1997-2003 under the Panos project? Are there any examples of activities and guidelines around dealing with intangible heritage loss and resettlement? Should all Resettlement Action Plans include a heritage project, which could involve life story interviewing, photography, maps – it could be a means to finding out what’s important and valuable to people outside the context of negotiations over compensation. At the very least it acknowledges the importance of this to those who are being resettled, and may leave them with some tangible documentation of the worlds they have left behind. This entry was posted in News and tagged Resettlement on June 21, 2013 by Kristina.